Do you have personal icons? Images that you repeat in your work? I know of one quilt artist who includes a bird in every piece she does. Sometimes the bird is the subject, sometimes it is almost hidden amongst the main elements of the piece. Do you repeat the same subject over and over? I was fascinated with June’s painting class exercise of painting the same subject 11 (I think) times. I find myself returning to the same things, but also sometimes thinking, “Oh, I’ve done that–need to move on.” If you have a personal icon, is it something that has great personal appeal as a thing, or an image, or is it something you have adopted simply for the purpose of exploration, improvisation on a theme, a thread through the work? I rather like the idea of taking a somewhat mundane object and using it over and over, which, to my mind, might help get one past the idea of art being about the subject and into the idea of art being about the art. 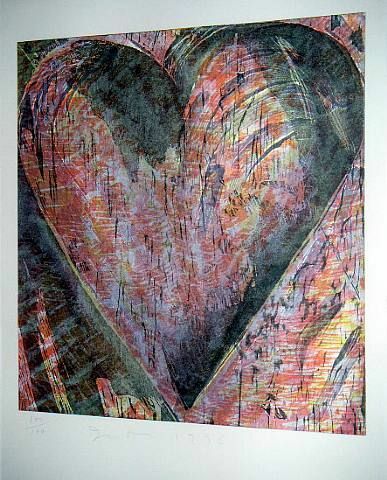 Jim Dine, known in the ’60s as a Pop artist repeated several subjects many, many times. After graduating from Ohio University in 1957 with a B.F.A. degree, Dine (b. 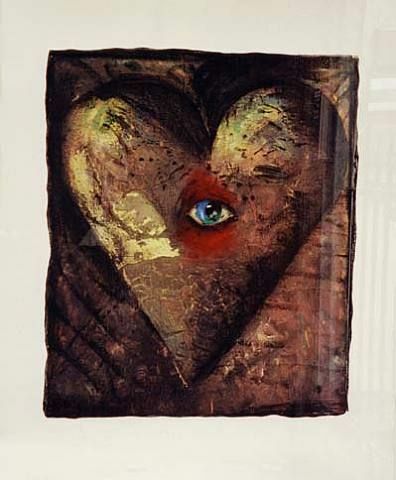 1935) began his career with five happenings in the early 1960s during the Pop Art movement in New York. However he returned to painting retaining a theatrical quality in his work in the dramatic placement of actual objects, either attached to the painted surface or placed before it to set up an interaction among the elements. 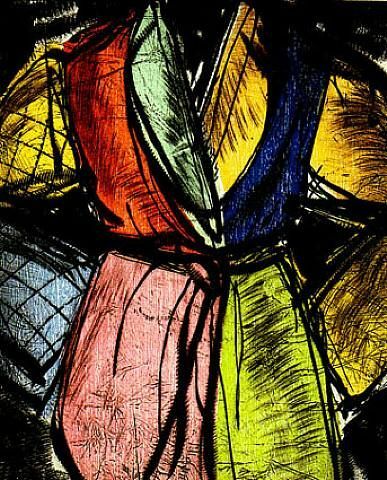 Although he has been called a pop artist, his aesthetic is far more within the tradition of Abstract Expressionism, Dada and Neo-Surrealists. The objects he uses are either personal, such as his own clothes, or newly purchased, as in the case of new shovels or wrenches. Nor is the object presented as an entity; instead, Dine places it within a painterly environment that has personal connotations for him. 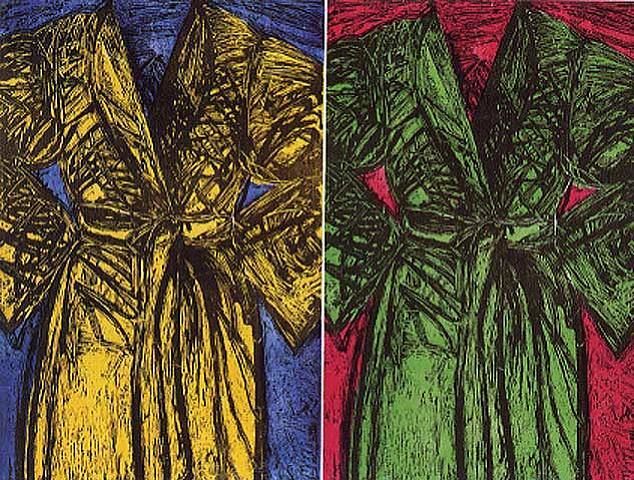 In the mid-sixties, he made a number of free-standing cast aluminum and, in the following decade, he began producing works in series, representing three-dimensional objects such as the robe, tools, or heart that have become his own icons. Okay I’m convinecd. Let’s put it to action. 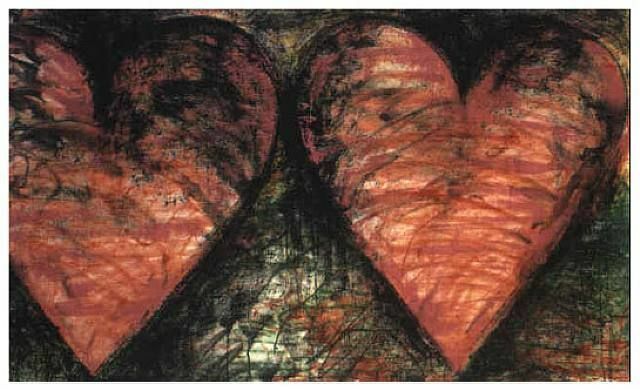 I LOVE jim dine. 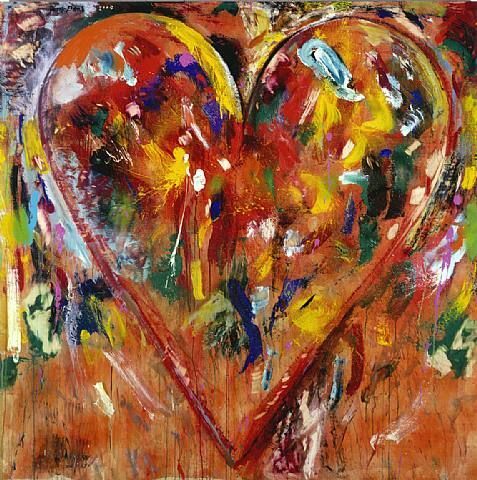 he is probably my favorite painter. he has inspired so many of my own works. I think there’s a difference between the totemic item and revisiting an object or image over and over, although the two might coincide. The revisitation is to move beyond the object or to explore it beyond its obvious being — art qua art or what the h… do I do in # 9? The totem speaks to us in ways we can scarcely understand. It often harkens back to sheer superstition, but even when we know that, we still feel the power of the totem. My traffic islands, all 11 of them, were an exploration of what the h…. But the crows in my work and my life are totems. I talk to them when I’m wandering alone, I note which trees they like, I was even shooed away by one one day when I wore a black cape — she thought I was trying to invade her territory. The “exploration” pulls on the rational, I think, and the “totem” pulls out of the irrational. Thanks, Terry, for getting me to think about this. I find the whole concept of personal icons to be fascinating. I visit and re-visit the same motifs and subjects over and over and I think finding a fresh approach is a good challenge. 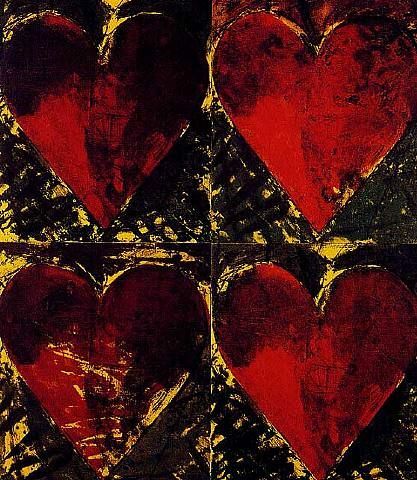 Jim Dine’s hearts are an excellent example of re-visiting what is on the surface a rather trite and overdone motif and working through possibilities of composition, color and form, forcing the viewer to look beyond the obvious. The art becomes the art, as you say, Terry. Native Amercian shamanistic beliefs hold that everyone has one or more totem animals or symbols that they are drawn to. A totem in this case is defined as a venerated emblem or symbol. If you do enough work and stand back to review your body of work you will see totemic or iconic symbols appearing in it. I think these symbols work on a subconscious or conscious level, that is, intentionally adding them to a piece or series or just letting them appear without forethought. I often will hide the number 13 in my pieces, either as a Roman numeral, or as groups of things in ones and threes. Most of the time I don’t plan it, but can usually find them after a piece is done. There is value in recognizing or adopting icons or totems in your work. It gives you more to think about while you’re working on something and it gives your viewer more to think about while they’re looking at it.